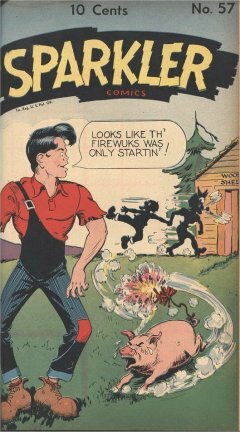 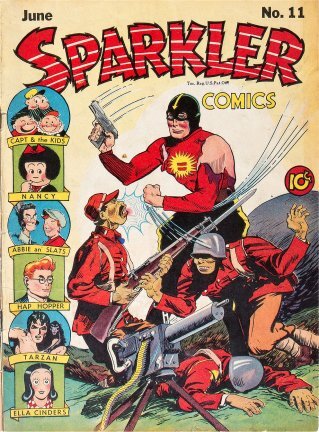 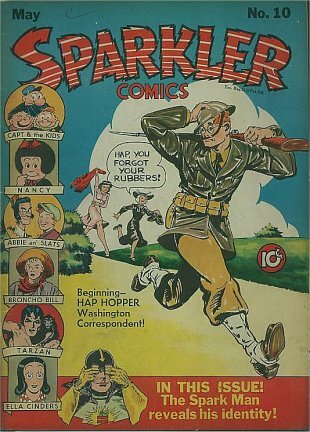 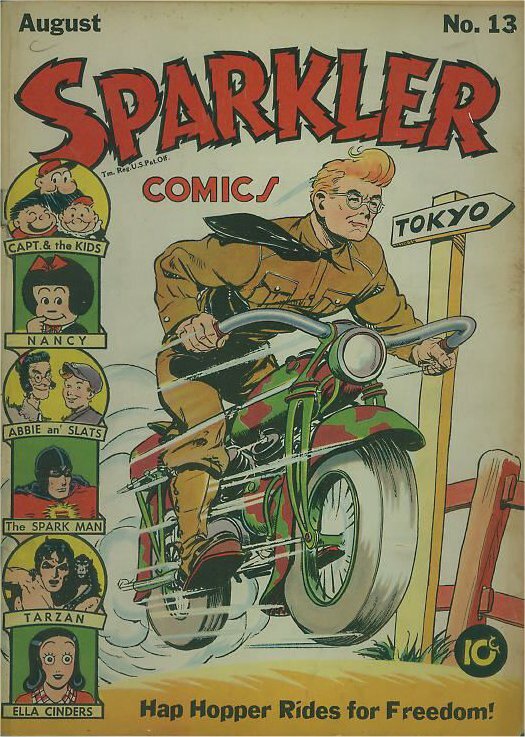 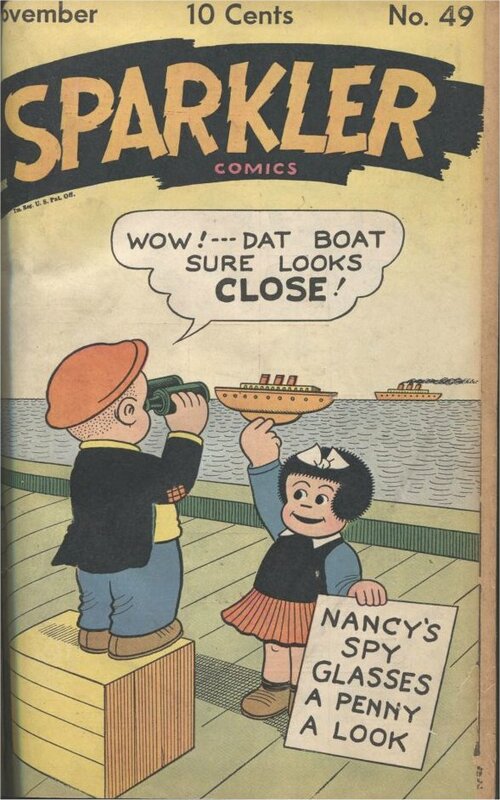 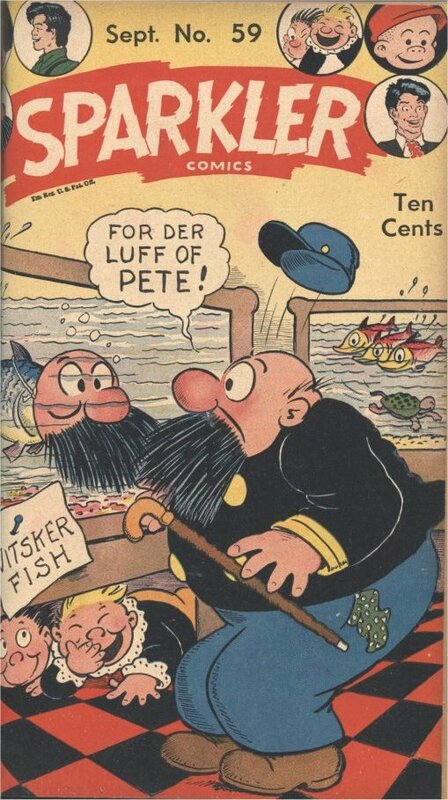 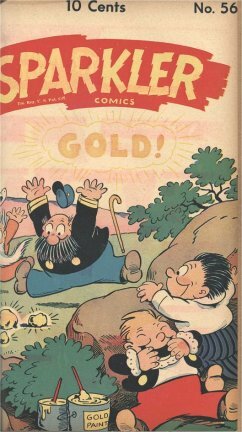 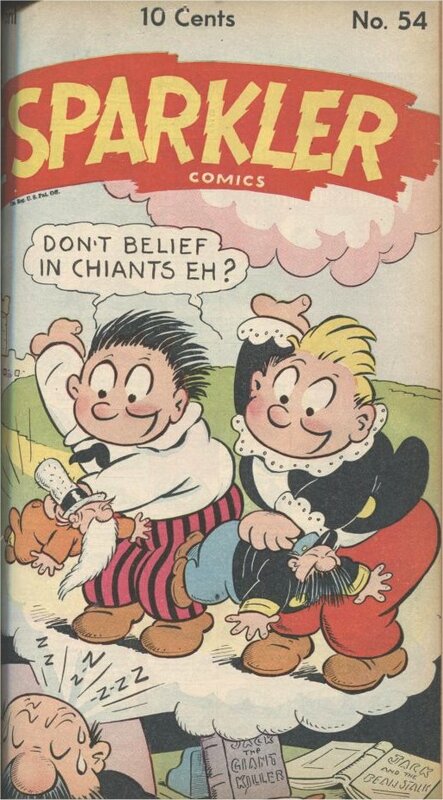 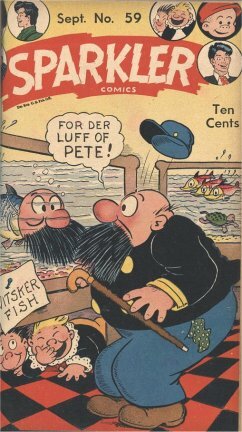 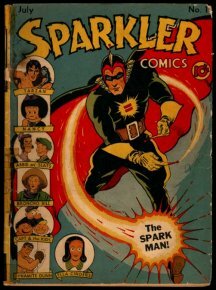 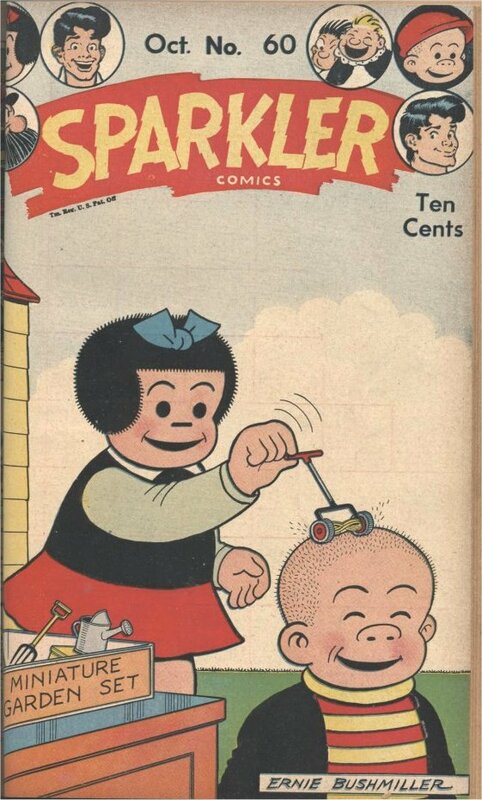 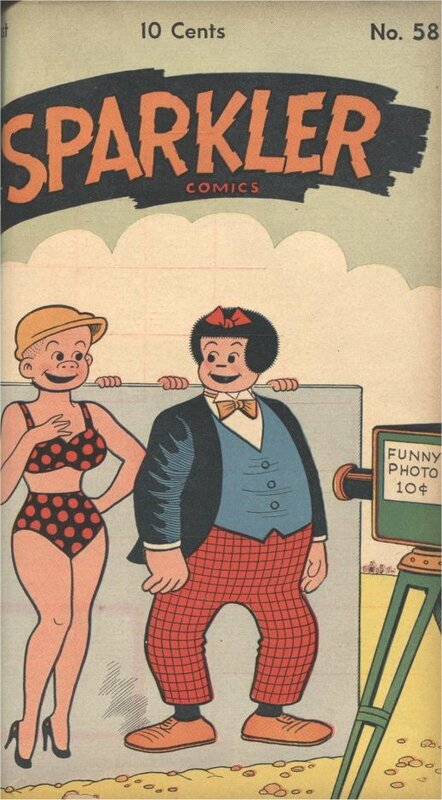 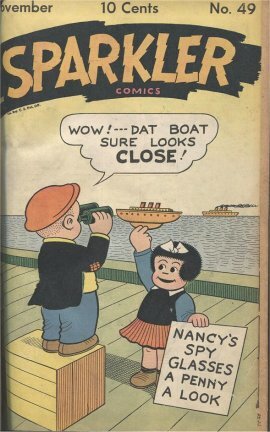 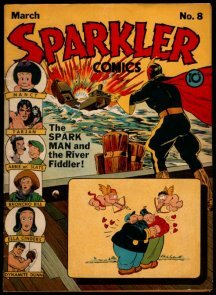 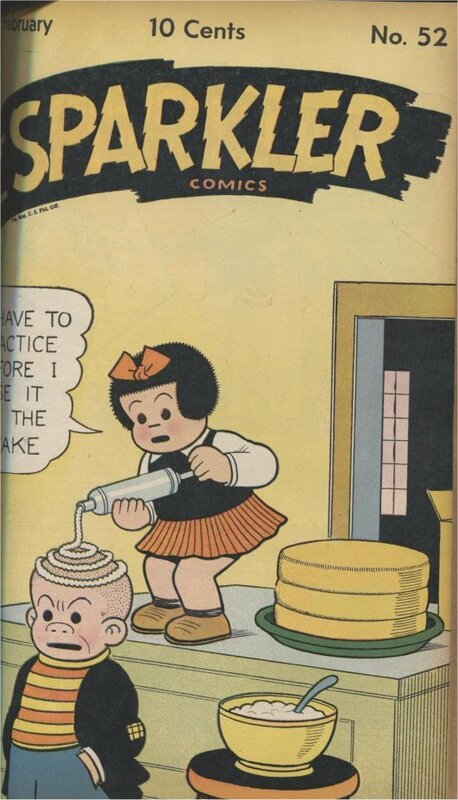 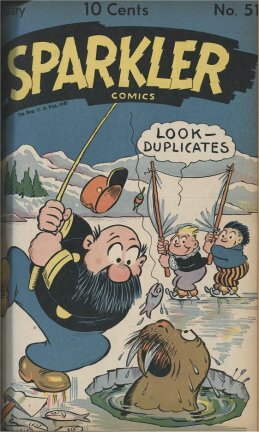 United Features reprinted many of their comic features in Sparkler Comics. 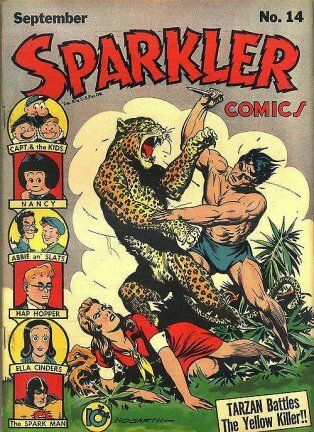 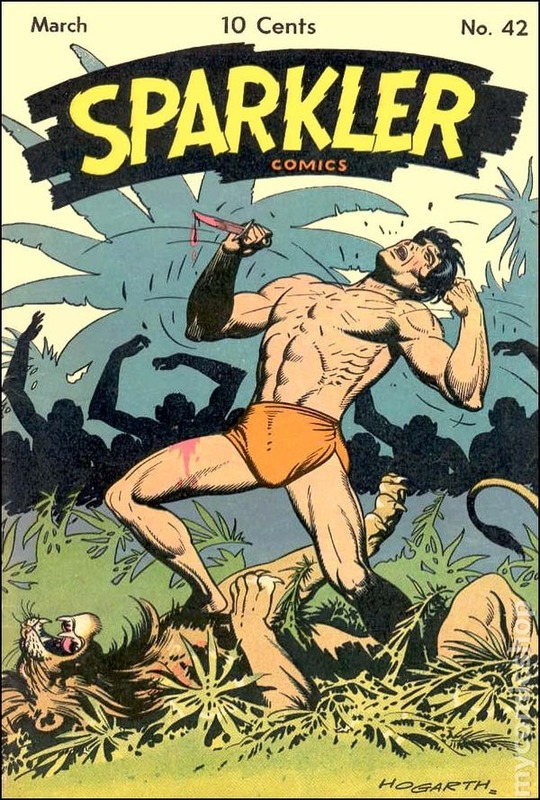 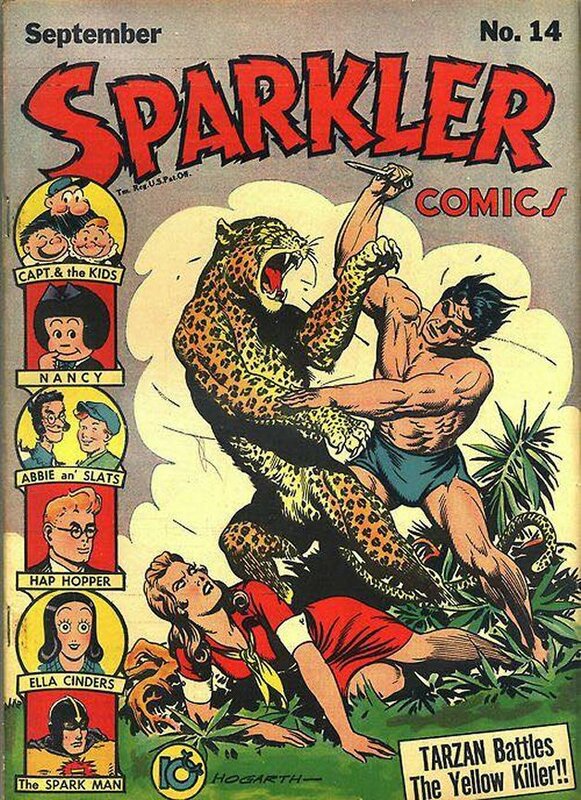 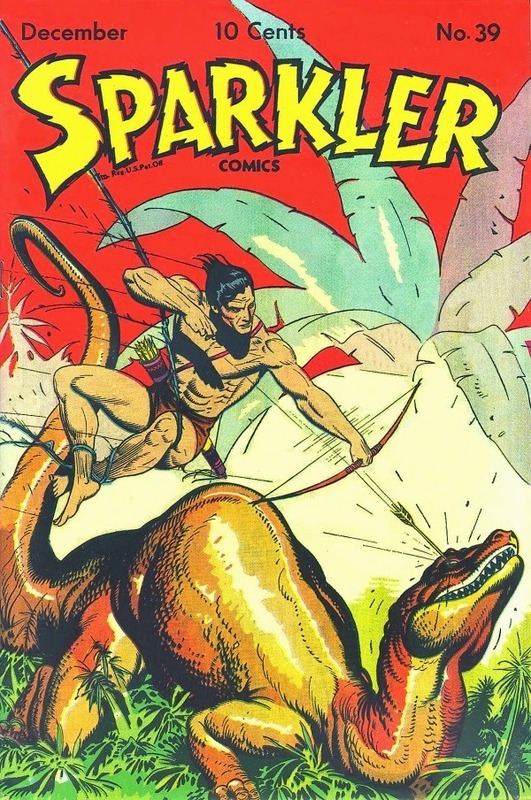 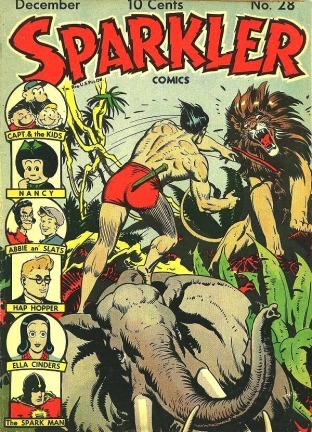 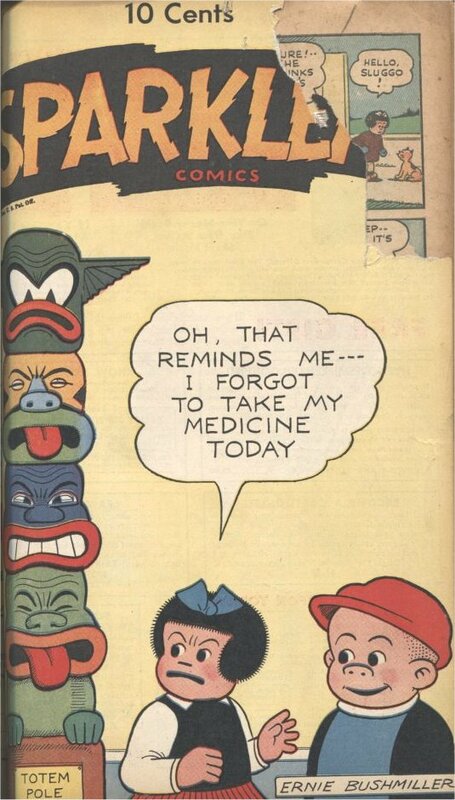 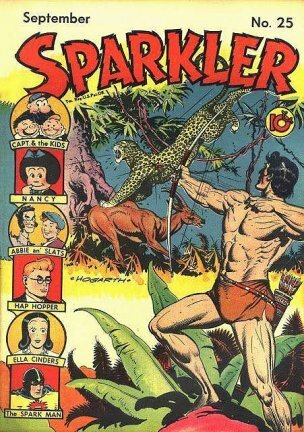 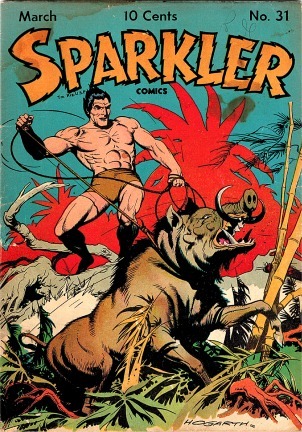 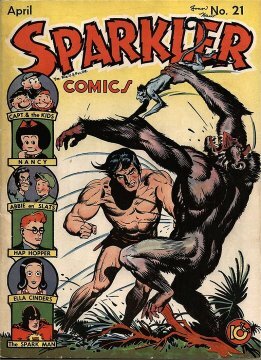 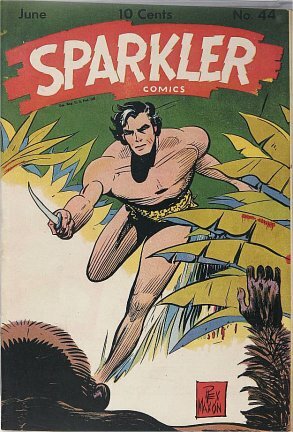 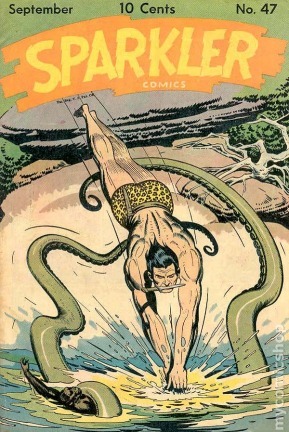 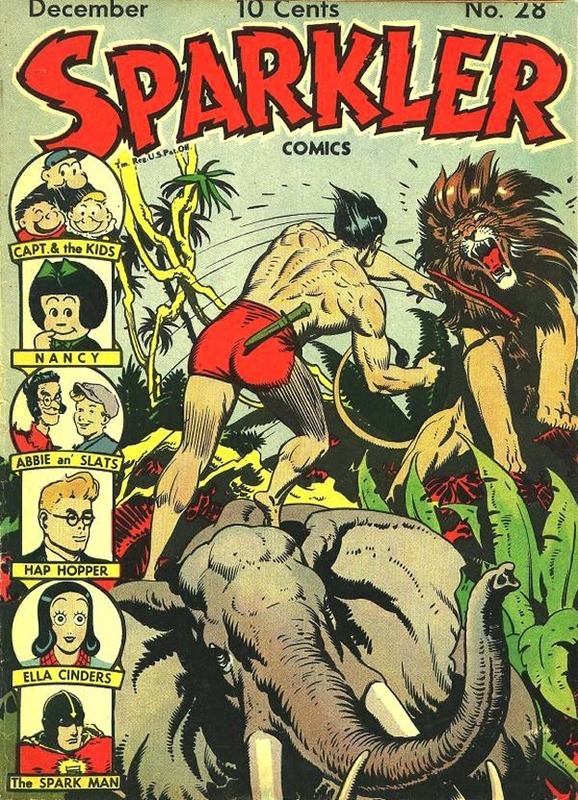 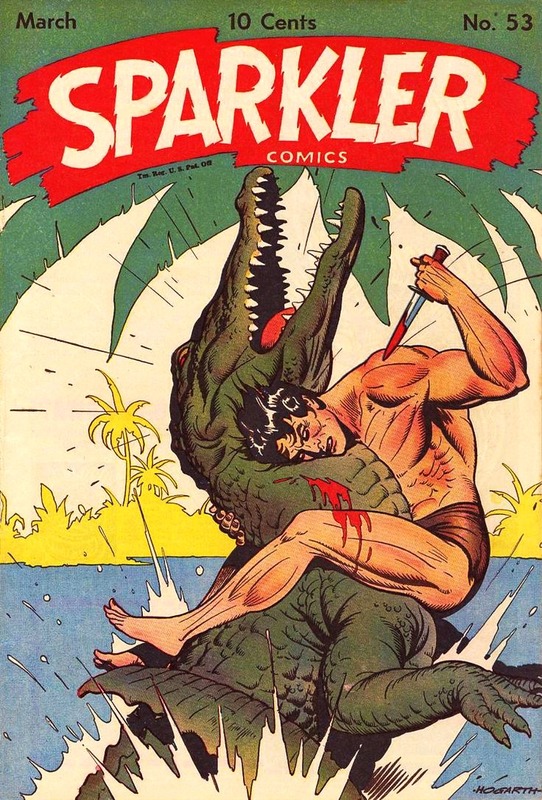 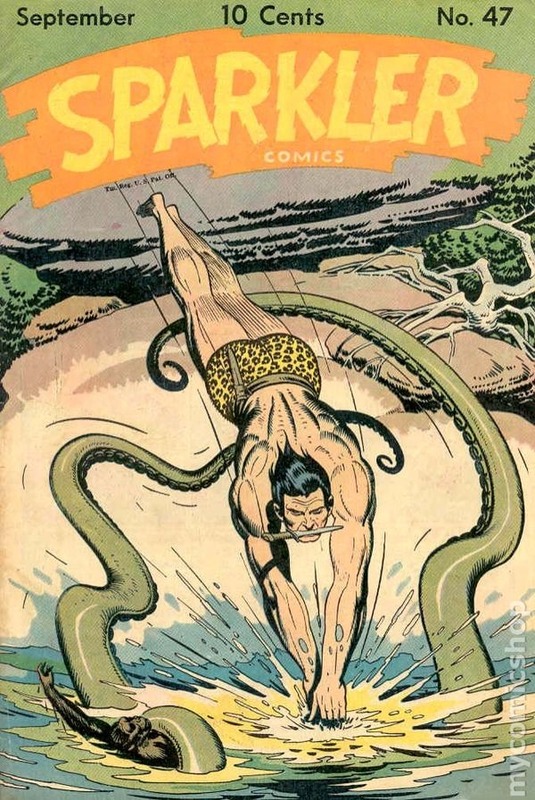 Included was Tarzan (Consisting of colour Sunday pages) in most of the issues. 39T, 42T, 43, 44T, 45, 46, 47T, 48, 49, 50T, 51, 52, 53T, 54-82, 83T, 84-86, 90-92. 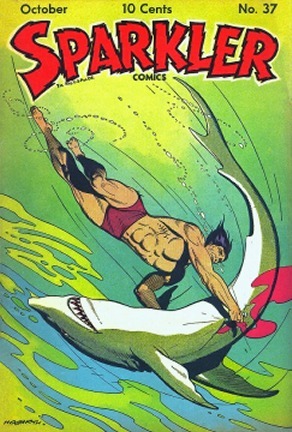 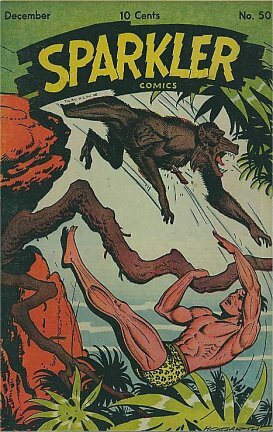 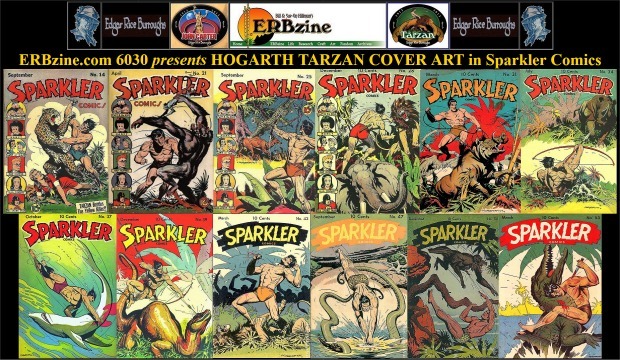 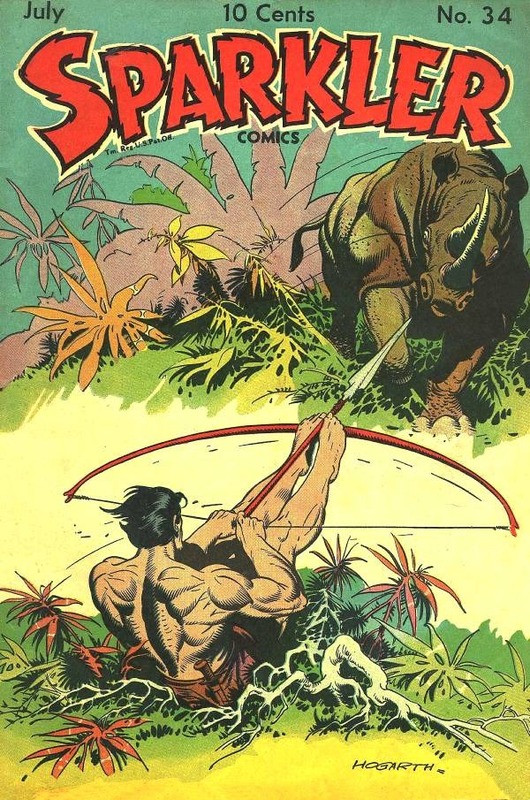 The issues that used Tarzan art on the covers are featured here.